Good Monday morning! I hope you all had a wonderful weekend. Can you believe that it's almost the end of August already? Where has the summer gone? I am looking forward to school starting in only 2 short days. I love the routine, as busy as it is, that school brings. The end of August also brings the end of the Summer Mini catalogue. I have a few samples from the cruise using some of my favorite sets from the mini. I don't think I've shared these with you, I apologize if I have. 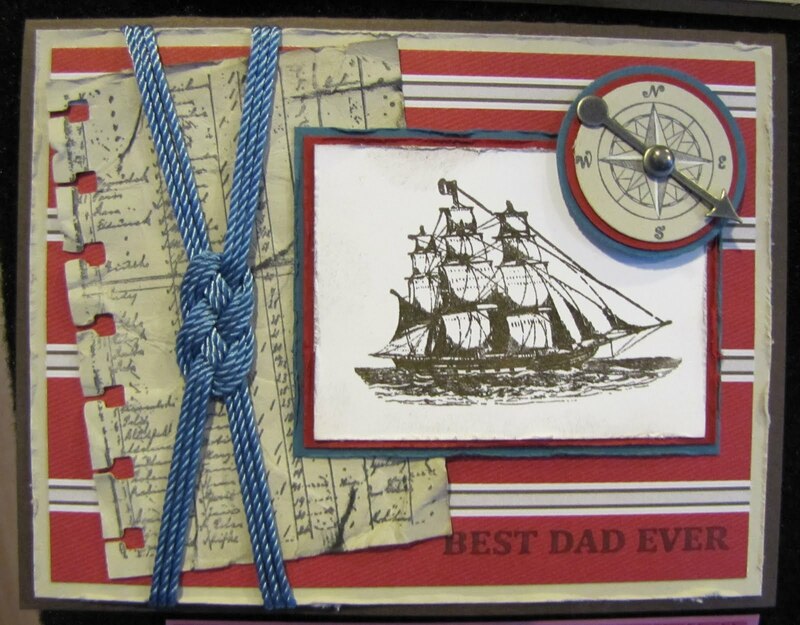 The first one uses The Open Sea stamp set (123030 WM/123032 CM) and the coordinating Nautical Expedition dsp (122343). Did you notice the died bakers twine? All you have to do to get any of our exclusive colors is just mix the desired ink refill with a bit of water and let your bakers twine soak for a bit. 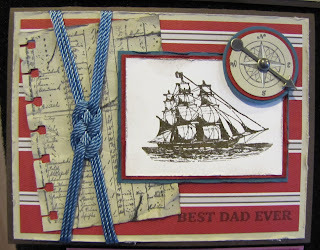 I love the knot that she used on this card - it adds so much to the card. The second card uses the hostess set in the Summer Mini - Love & Care (free with a $200+ order). I love so many of the details on this card, from the baja glass glitter, to stamping on dsp. It's just beautiful! 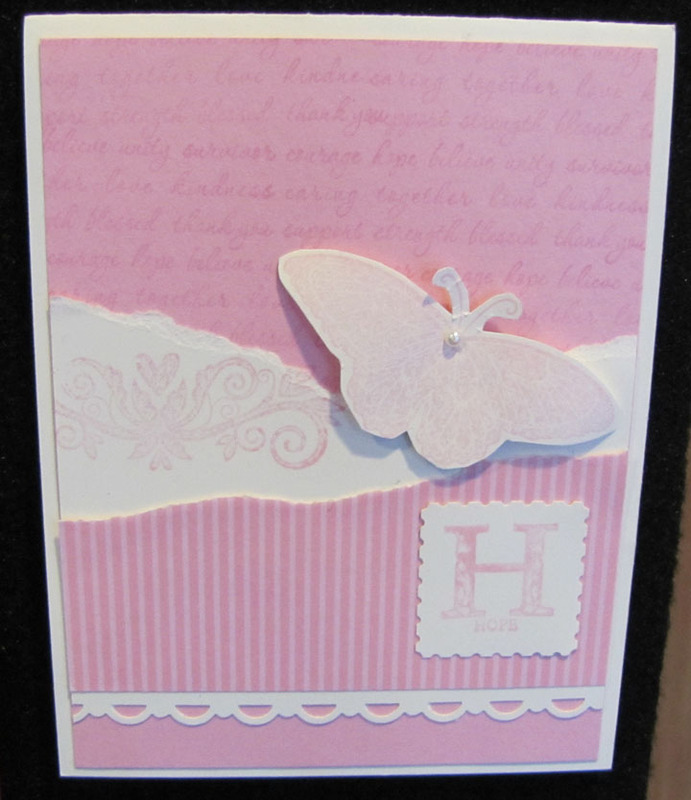 Some of the other products on this card are the Beautiful Wings embosslit, baja seam binding and the Curly Cute stamp set (WM 117014/CM 120510). 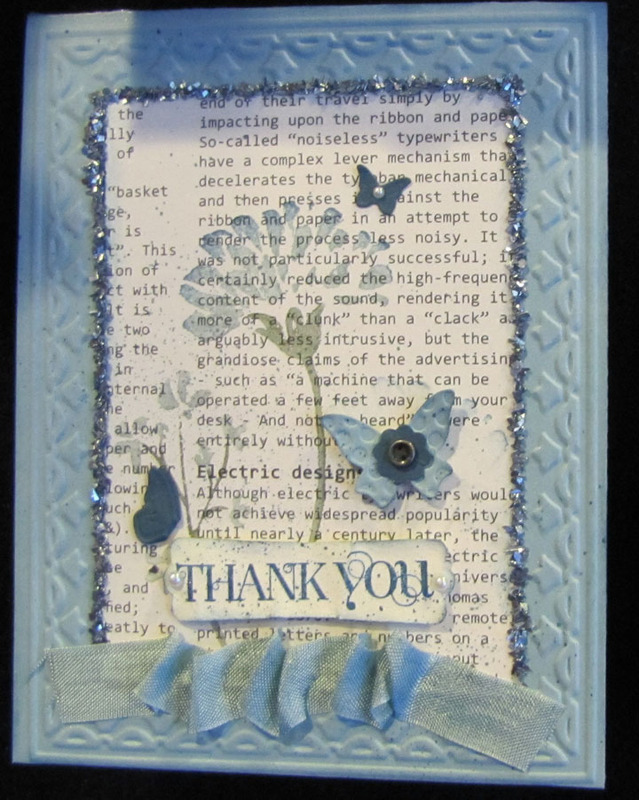 The last card I have to share with you today is using another favourite from the Summer Mini - the Strength & Hope stamp set (WM 118100/CM 123660). 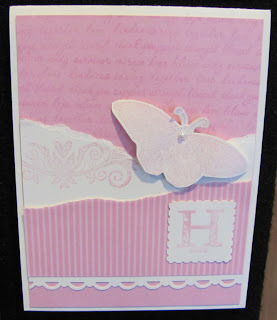 Not only is this set gorgeous but with every set sold Stampin' Up! will donate $2 from the purchase to the Breast Cancer Research Foundation. To incredible reasons this set should be in your stamp cupboard! I hope you enjoyed todays samples! Remember these sets are only available until August 31st!